What is the role of a compactor blade ? We find compactor blades on many types of compactors. The compactor blade is located at the front of the machine to displace the soil before compaction. Ideal for compaction of mixed floors and furniture in thin to medium layers. Each type of compactor grader blades to its application type. We encounter this kind of blade on sheepsfoot rollers or on ball rollers. 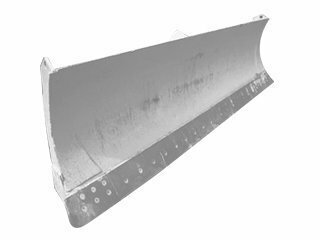 The blade is machined in HARDOX steel for better resistance and durability. Do not hesitate to replace your compactor front blade ! CODIMATRA offers you a dedicated list of compactor blades updated daily so that you can find the product that perfectly matches your machine. CODIMATRA offers a wide range of brands and models such as: Caterpillar, Doosan, Liebherr, Fiat Allis, Furukawa, Hyundai, JCB, Mecalac, Poclain, Volvo etc. To help you choose the model of compactor blades you need, call on the expertise and professionalism of the CODIMATRA’s teams. They are at your disposal to answer all your questions or for any additional information.